Working with a General Contractor that has the right experience and most of all is 100% committed on delivering your project on time and on schedule is absolutely very important for every Project Manager. 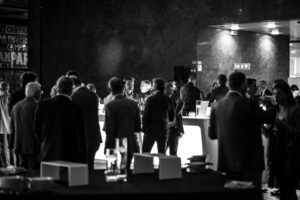 Our network of companies operating in the Retail and Hospitality industry is growing and you can now connect with 305 General Contractors for all of your projects in the United States, Canada, and Europe. 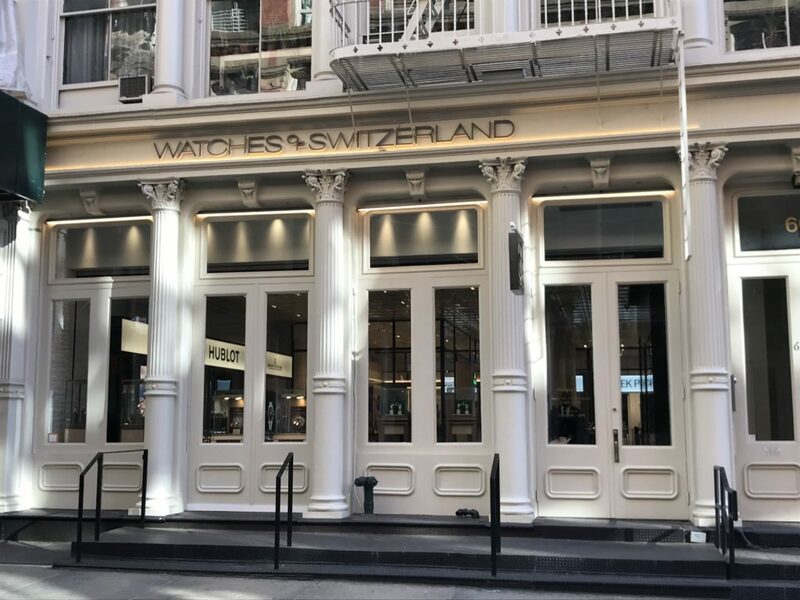 The UK’s largest luxury watch retailer, Watches of Switzerland, has planted roots in the US with a flagship boutique in New York City’s SoHo neighborhood. 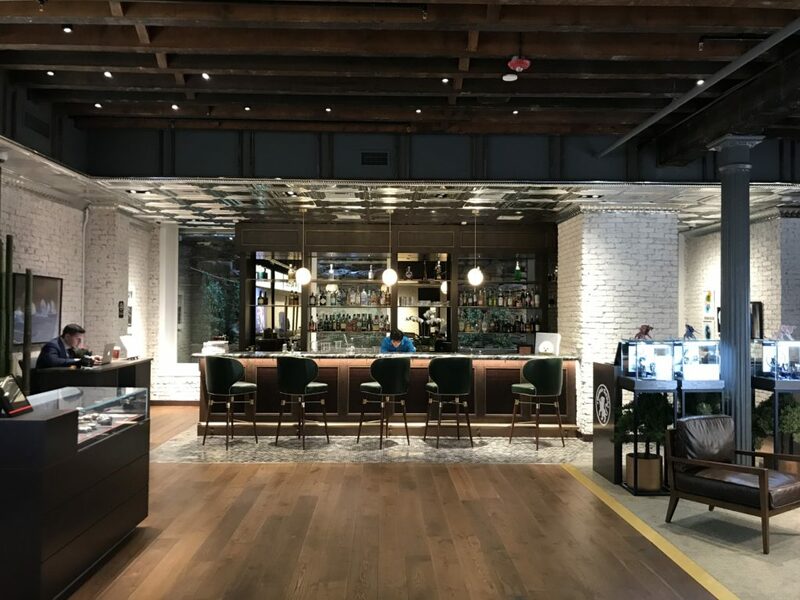 The 8,000-sq-ft retail space carry an impressive roster of watches, including Patek Philippe, Rolex, Cartier, Breitling, IWC, Jaeger-LeCoultre, Girard-Perregaux, Ulysse Nardin and Hublot (among others). The lower-level cocktail bar awaits shoppers who fancy a mid-day shopping reprieve — sip on an artisanal cocktail from renowned NYC cocktail lounge, Death & Co, curated exclusively for Watches of Switzerland. 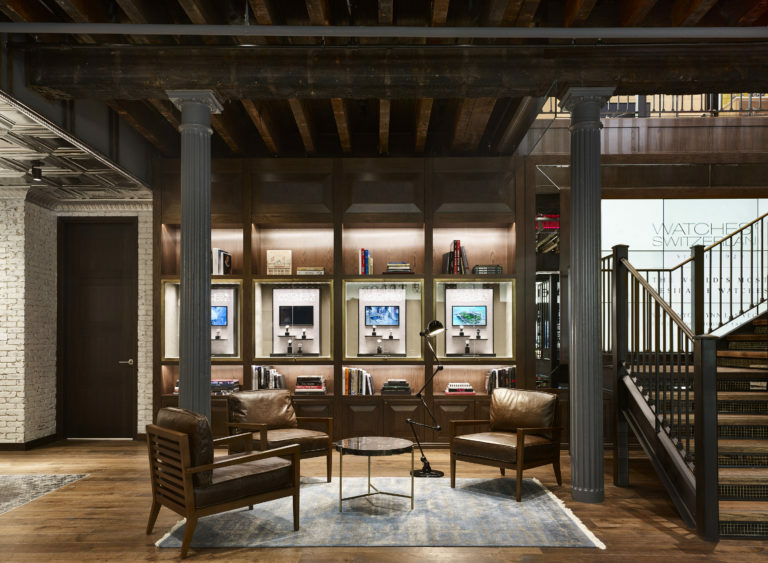 Those who prefer a quieter break should take to the library/bookshop, where you’ll find biographies and luxe coffee tables books. This month we want to share with you the 22 companies within the 4URSPACE community, who have completed Projects in December 2018. Today we talk about Coopservice and we sit down with Elisa Nicolini and Giuliana Caroli to learn more about the Company. Coopservice provides specialized services to companies, as well as public and private organizations. We offer services through our own engaged and capable employees in different areas: professional cleaning, healthcare cleaning, security, logistics and handling, waste management, energy, and facility management. Our greatest strength is how we integrate the experience and professionalism of our staff with cutting-edge technical resources to create appropriate solutions for all situations, even providing multiple services to customers through an integrated global service solution to maximize cost/benefit ratio. Serbia, Croatia, Spain, and Malta. Furthermore, Servizi Italia operates in Italy, Brazil, India, Turkey, Morocco, and Albania. Today, competition is pushing companies to seek simpler operating modes that allow them to focus on their core competencies and ensure maximum yield in all company processes. To achieve these goals, many companies are abandoning traditional organizational models in favor of an outsourced global service management model based on efficiency and rationalization. In this respect, Coopservice is a single provider for the management of all noncore activities. We design and manage a wide range of integrated services and involve our clients in all organizational and provisional phases. We also use continuous monitoring and analysis of performance indicators to measure and maximize our clients’ return on investment, from both a technical and economic point of view, assuring flexibility, integration, and transparency. Thanks to this approach our revenue has grown steadily in recent years up to €475 million in 2017. For the next years, we expect to improve our performance by the successful implementation of our strategic initiatives. Coopservice operates mainly in Italy. No, we offer our services to a wide range of clients operating in many different industries. We focus on key account customers and we offer them integrated facility services. This means that we are able to eliminate the need for customers to manage a whole host of subcontractors providing a single point of contact. This solution offers considerable advantages to clients. The first is cost savings, coming from our implementation of more efficient processes that optimize the management of complementary and integrated activities. The second is guaranteed results, thanks to our checking and monitoring procedures that have been tested and consolidated throughout years of experience in the sector. 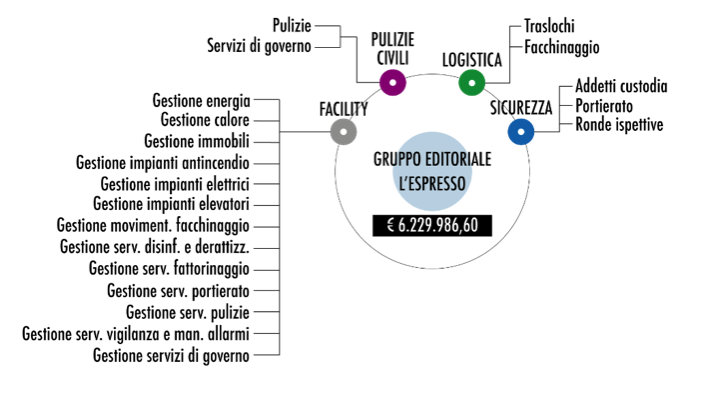 Gruppo Editoriale L’Espresso is a perfect example of our strategy. We service and maintain its facilities, providing multiple professional services through a global solution that allow us to drive convenience, productivity and cost efficiency. In this way, we create value for our customers by allowing them to focus on their core business. In 2019 we continue to implement our growth strategy with large key accounts. We plan to increase our investments in innovation, as well as in engaging and empowering our people. We started in 2018 new training and career development programs in order to empower our people to keep delivering exceptional service that drives customer satisfaction. It’s easy to use and helps you to find information quickly. 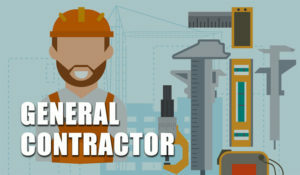 Do You Need a General Contractor? We Got You Covered! It is not always easy to find the right General Contractor in every Country, City or Mall you have a new store to open. 4URSPACE provides you with 300 General Contractors that can help you with your next projects. 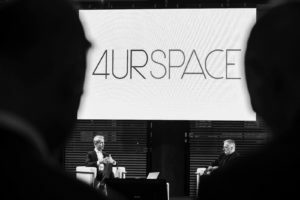 We have officially launched 4URSPACE in Europe with a two-day event in Milan on October 25th and 26th. 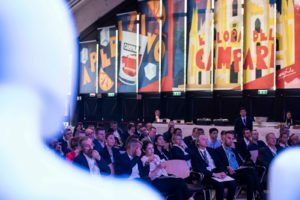 I just came back to New York and I’m still energized and excited about the two days spent with almost 200 professionals that joined us at the beautiful venue, Spazio Campari. 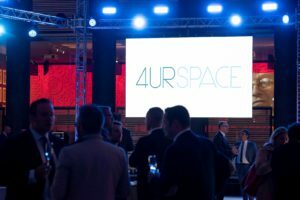 I was honored to introduce 4URSPACE, its network, and the opportunities that it brings to its community to a group of amazing professionals. It was a very exciting and emotional moment for me. 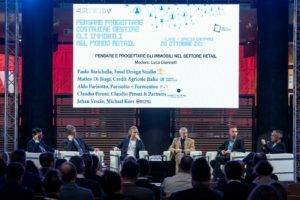 We shared our experience in the Retail and Hospitality construction industry and talked about the current state of the sector and how to improve the way we operate, access and share information and of course, the application of technology applied to the industry was one of the main topics. The feedback we received was beyond expectation. I started 4URSPACE four years ago with the intention of creating the most important network for the construction industry and today we achieved another very important milestone expanding the network into the European market. I want to thank you the entire team at Spazio Progetto for the hard work and commitment in the last few months and I’m looking forward to continuing to work together. 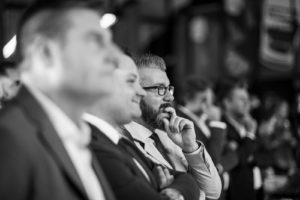 Today we talk about L&S Group srl and we sit down with the Technical Sales Manager, Nicola Trevisiol to learn more about the Company. 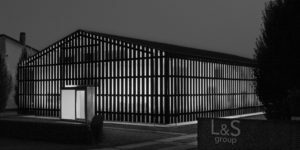 L&S Group srl is an Italian General Contractor, founded in 1994, specialized in the design and construction of commercial spaces. We offer a “turnkey” service in different sectors: retail, executive offices, Horeca, and luxury private houses, focusing on quality and maximization of customer service. The Company has an internal structure of about 65 employees. The headquarters are located near Venice. We also have offices in Spain, France, Switzerland, as well as some TAX ID in many European countries. Founded as a company of electrical systems, in the 2000s L&S began to expand the range of services to the customer, capturing the needs of a market that increasingly requires a single interlocutor for all activities of construction and restructuring. 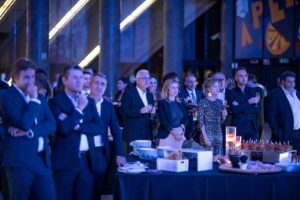 The company developed its facilities, hired more and more qualified staff and started collaborations with important international brands, always keeping the “Made in Italy” characteristics: attention to detail, tradition, and innovation. The Company’s headquarters are located near Venice. Since its creation, L&S Group has distinguished itself by operating predominantly abroad. We are strongly present in the EMEA area. We operate in retail, Horeca, luxury private houses, executive offices. Every day we face “big projects”: each work has its own unique challenges, for which we create increasingly effective and innovative solutions. Dedication and passion guide us in the growth that we live day by day, in order to create a “tailor-made” service for each customer, to satisfy all its needs and therefore to gain its loyalty. Our goal is to catch new challenges, with the dual intent on the one hand to realize new and innovative projects and, on the other, to acquire new customers. We are attracted by the opportunity to appear in an international portal, which is a point of reference for potential new customers. Are you planning to start a new project in the United States, Canada or Europe? Take a look at the General Contractors within the 4URSPACE community who can help you with your next Project.